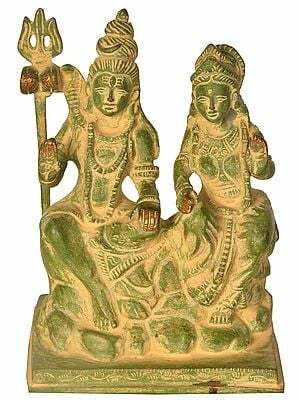 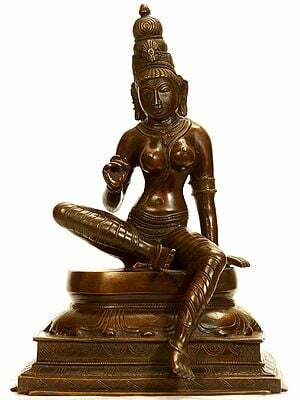 The Goddess Parvati remains unparalleled in beauty and divinity across all three realms of existence. 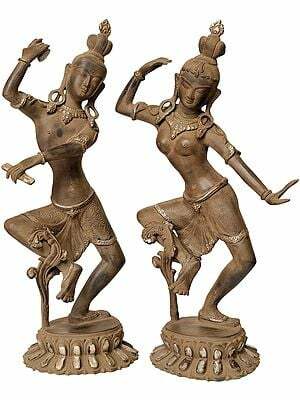 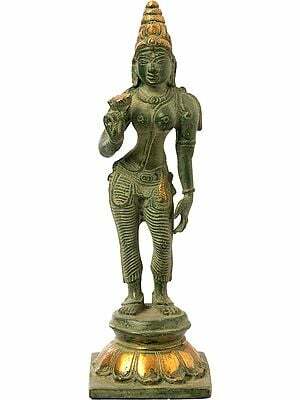 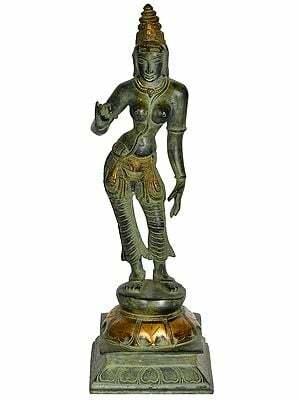 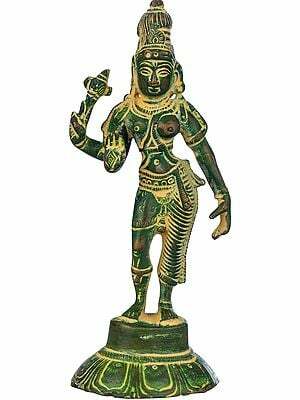 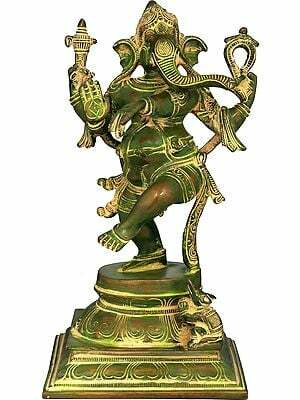 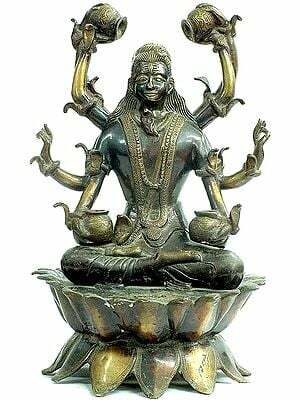 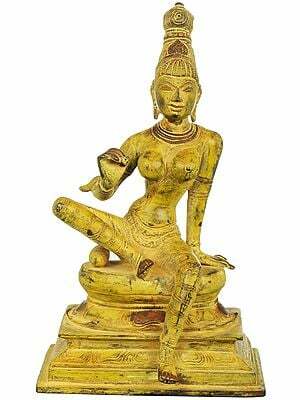 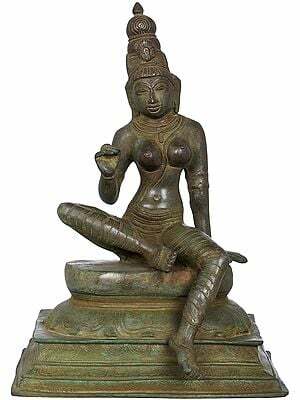 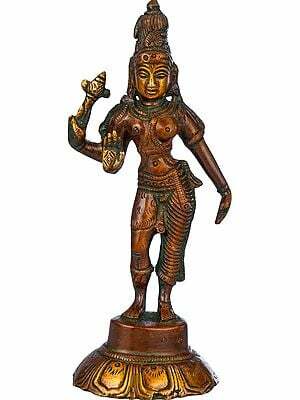 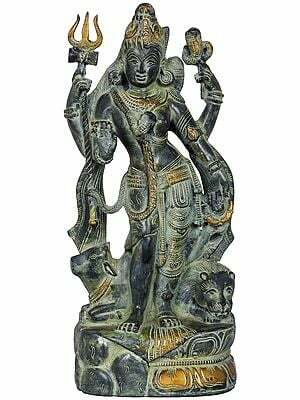 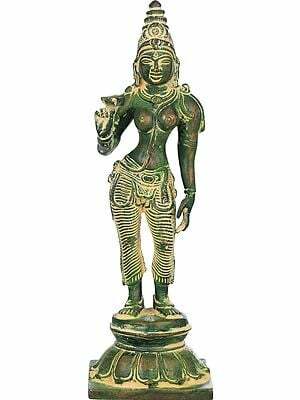 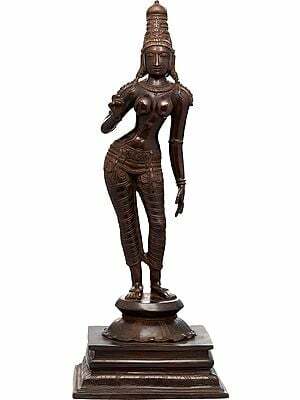 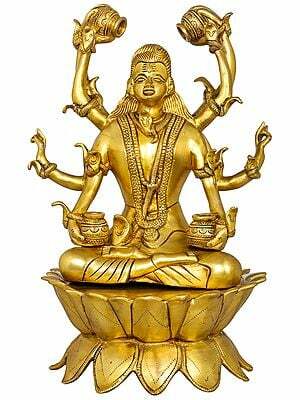 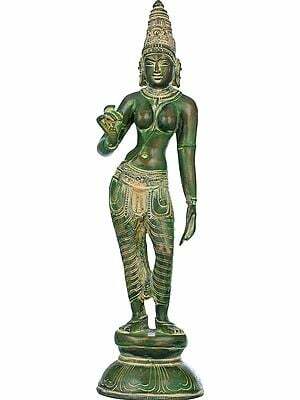 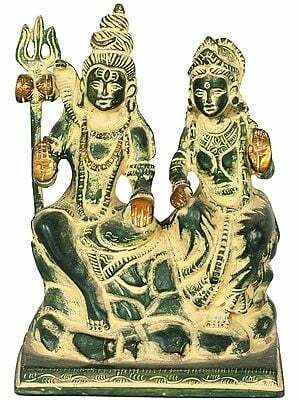 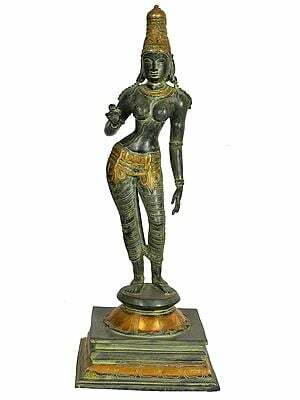 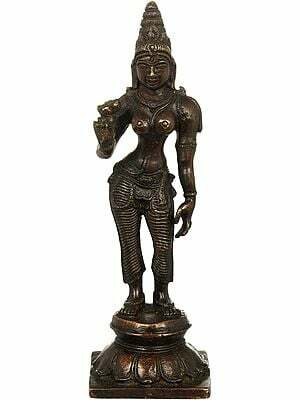 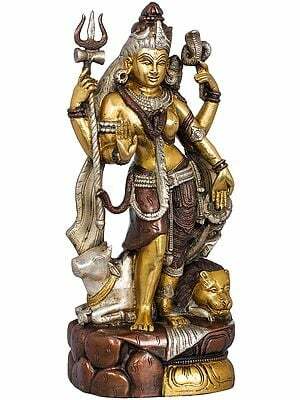 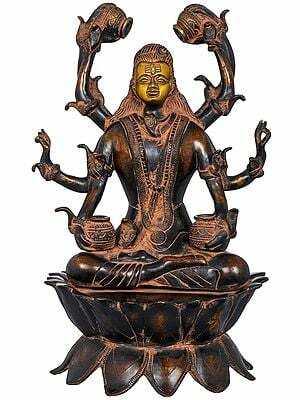 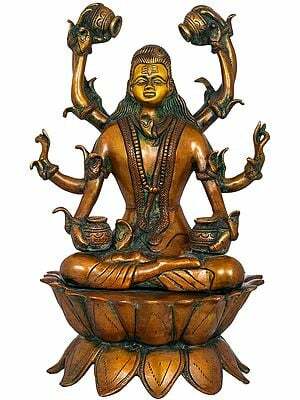 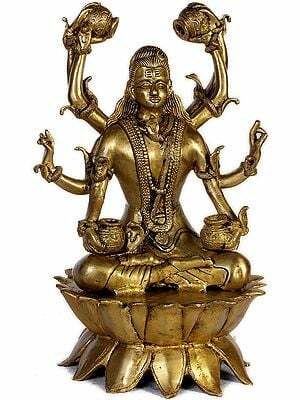 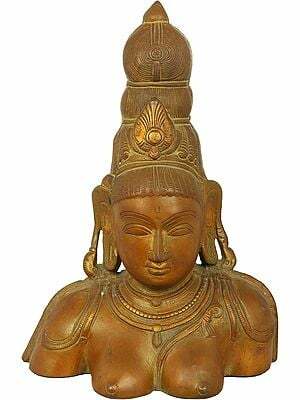 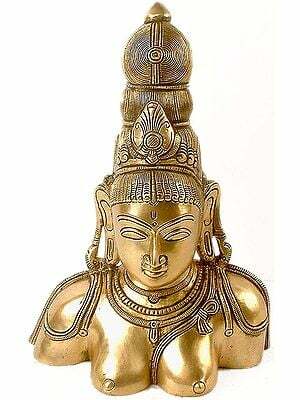 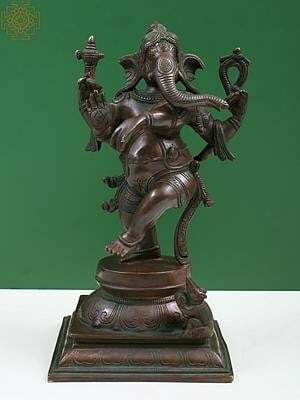 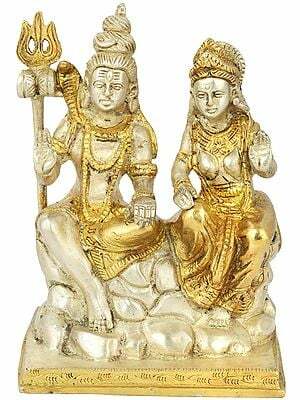 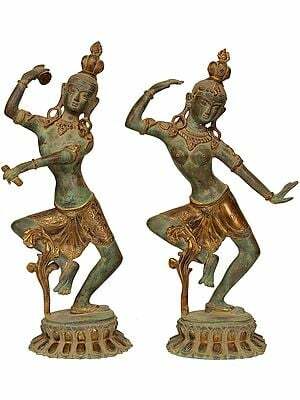 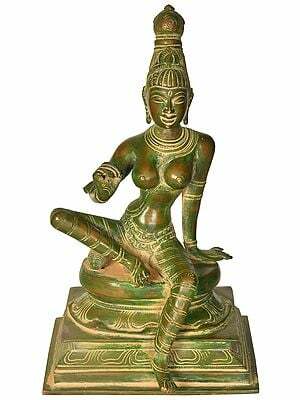 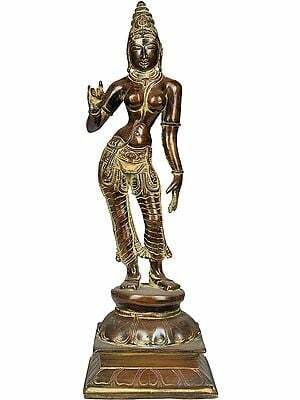 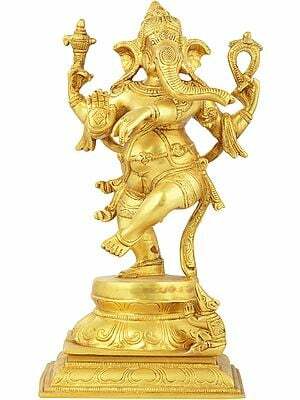 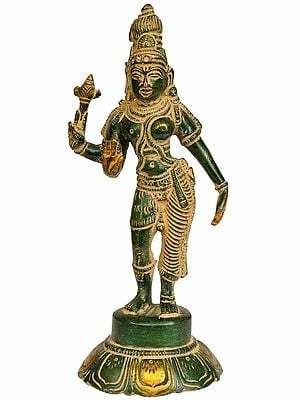 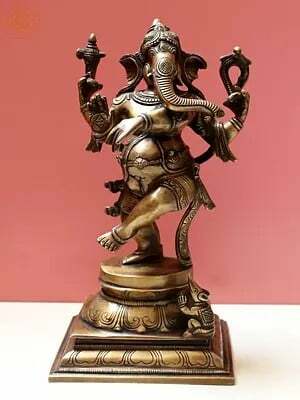 Wife of the divine Lord Shiv, in a considerable number of Exotic India's brass sculptures She is next to Him, often in a pose of divine dance ritual. 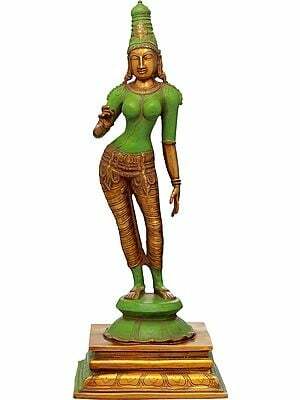 From full-length sculptures of Her gracious form in varying sizes to busts and skillfully crafted masks, Exotic India has it all. 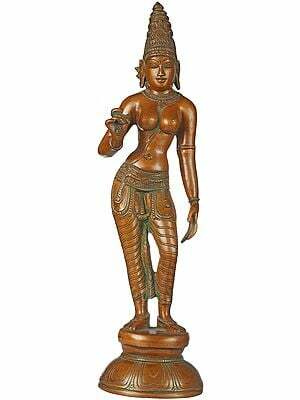 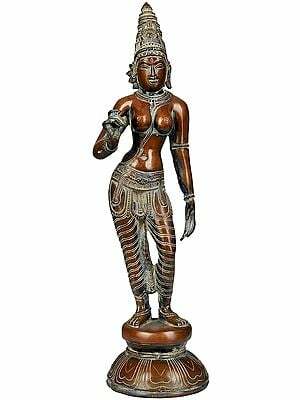 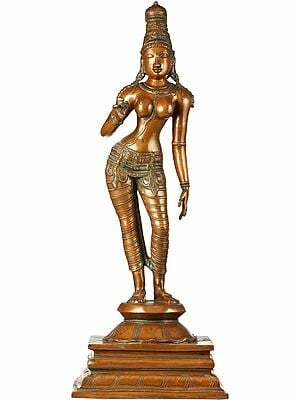 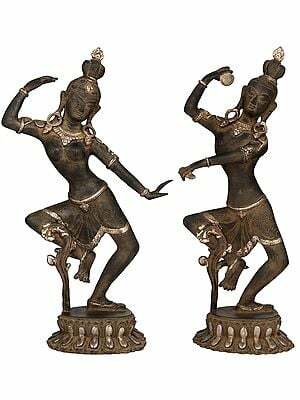 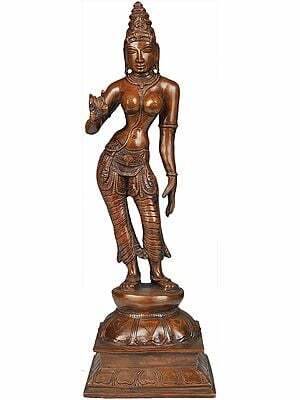 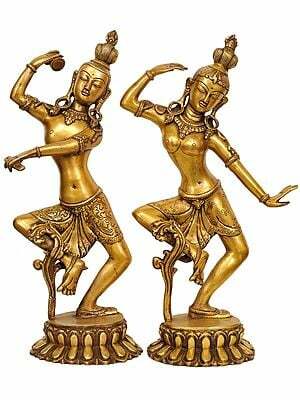 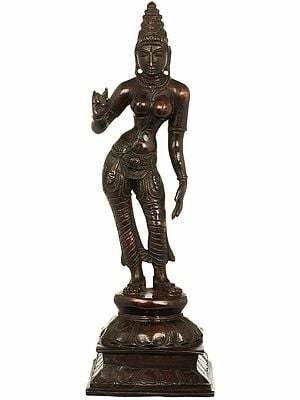 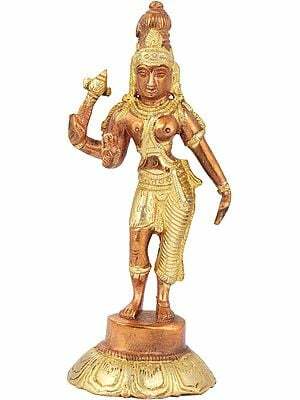 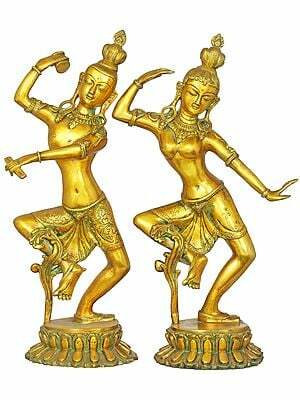 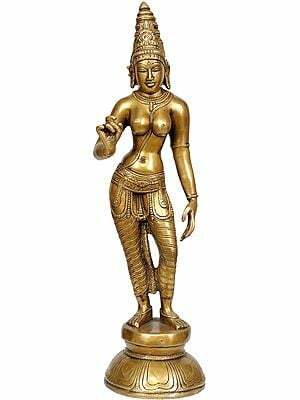 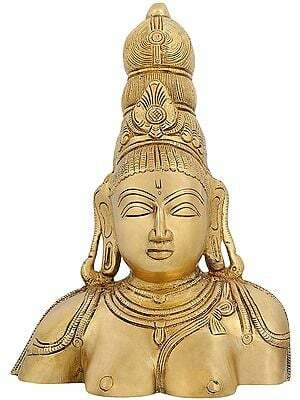 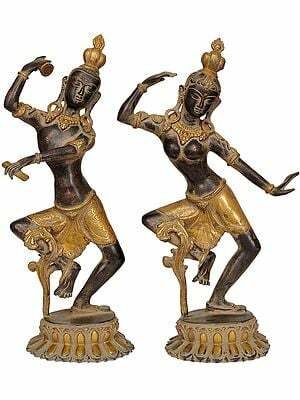 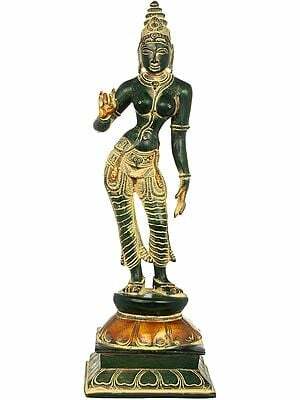 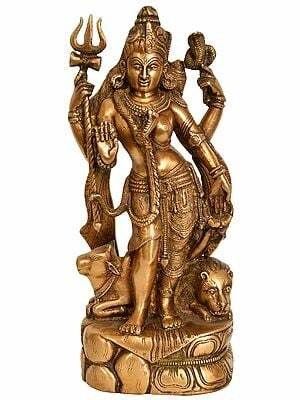 Our brass sculptures of Goddess Parvati, and the rich inlay on the same, are essential examples of singular brass artisanry pursued in the Orient.